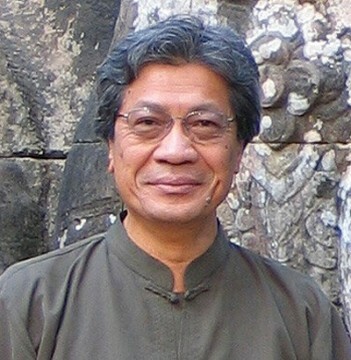 This July I’ll be travelling to Cambodia as first visiting scholar of Nirmita Composers Institute, an initiative of distinguished Cambodia American composer Chinary Ung. The goal of Nirmita Composers Institute is to ‘fuel creativity for the next generation’ of young composers and musicians in Cambodia and its neighbouring countries of Laos, Burma and Thailand. Chinary Ung has invited a team of dedicated award-winning creative professionals from Cambodia, USA, Japan, Taiwan and Laos to run 2016 program. Ung says the 2-week intensive program of workshops, lectures and presentations will ‘push young artists to be the best that they can be’, and ‘give them the skills and inspiration to create 1st class music’ that ‘builds from and out of traditional practice and form’. Hear Chinary speak about this project here (English language from 20seconds onwards). 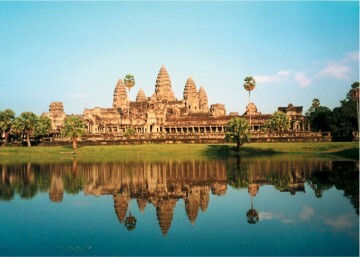 The program is being held in the cultural capital of Cambodia, Siem Reap. Over the coming 5 years, Nirmita Composers Institute and Cambodian Living Arts aim to train 50 young artists from Cambodia and its neighbouring countries. The result – a blossoming of creativity and lasting impact on how this region positions itself in relation to our globalised society. Please help support this project with a donation. Even $20 will make a difference. I’d like to thank and acknowledge 2016 Power Up Your Arts Mentorship Program, a Queensland Government and Gold Coast City Council partnership to support local arts and culture, for funding my trip to Cambodia to spend time with Chinary and participate in Nirmita Composers Institute/Cambodia Living Arts 2016 workshop. There’s a lovely synchronicity here as Gold Coast City Council aim to bring about an unprecedented wave of creativity and cultural activity here on the Coast. May these waves of creativity carry us all to a brighter future.